It does look in rather a sorry state doesn’t it?! Once the snow started to melt and the daytime temperatures rose to above freezing, I took off the fleece covers. 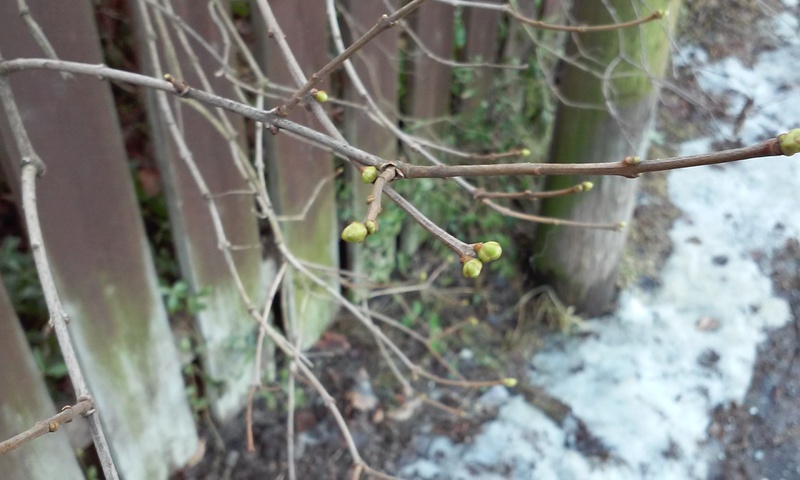 But look a little closer and you will see that after winter dormancy the new shoots of spring are emerging! My Clematis, now in its 3rd year has buds peeking out. The Euphorbia (right) that I bought in the sale at the end of the summer will be one of the earliest to flower. A Coreopsis on the left with tiny green shoots. A perennial Salvia in the pot with the hardy Geranium. Due to it being a relatively warm and short winter this year (it didn’t reach lower than about -12C) the bulbs actually started to come out very early (before December) and I thought they may be killed off by the subsequent freeze! Somehow they have come out unscathed. 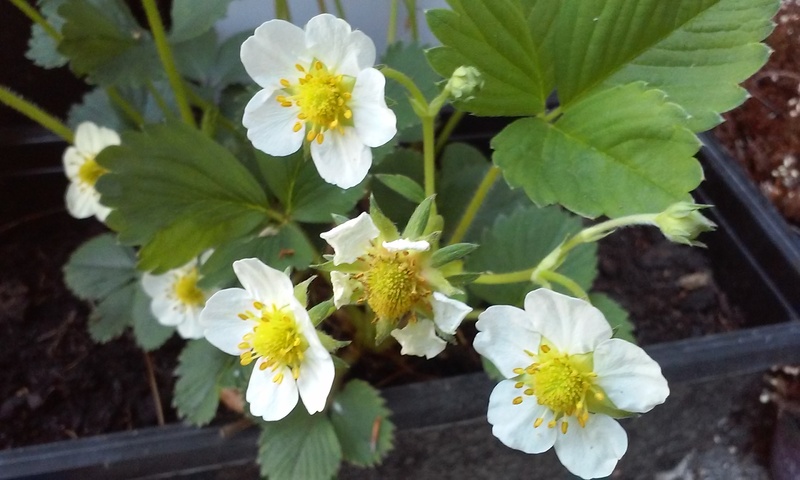 Strawberries too, seem to have survived. It was a bit of an experiment to see whether keeping them outdoors under fleece would be enough. Lastly the sweet little Primula and new shoots of a mystery plant. I can’t remember what I planted there, so time will tell, and a lesson to always take notes, though it never seems as much fun to do at the time! For the most part I was able to leave the covers off entirely even when the night-time temperatures dropped from time to time. I watched the night-time temperatures like a hawk though and only re-covered the more tender plants like the Tulips and my two Dianthus. Unfortunately my winter experiment this year didn’t unfortunately do so well for the Dianthus. In previous years I had kept them in my shed covered with a light fleece. But this year I decided to keep them outside under cover with all the other plants. They seemed to be coping well until ironically the weather warmed up. When I had to go away for Easter holidays, I opted to keep them covered as the night-time temperatures were still dipping down. However the sun during the day proved too intense and they’ve dried out. I don’t think i can save the Dianthus deltoides but my Dianthus barbatus (left) may be ok…. Two things I particularly want to try this year: one, grow more veg and two, grow some perennial flowers from seed, with the idea being of growing them together in pots. In the meantime over the coming week, my next step is to do a bit of a tidy up: sort out what’s in the pots, add some of the new plants I never managed to arrange, get rid of those that can’t be saved and add some fresh soil to all the pots. Things are kicking off! Happy Spring! 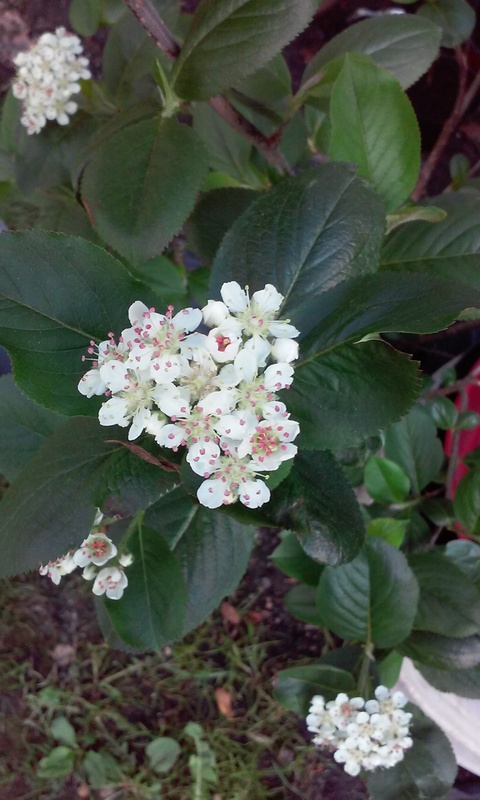 Categories: Monthly garden updates | Tags: spring | Permalink.